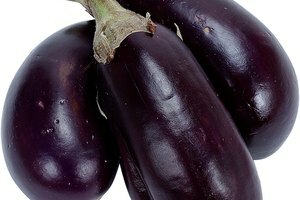 Eggplants are an extremely healthy vegetable for any diet. 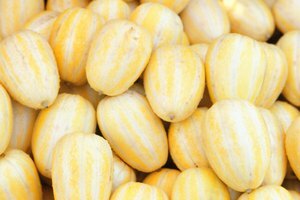 Unlike many foods, where the seeds are unpalatable and often removed before eating, eggplant seeds are healthy and are beneficial to health. The problem with eggplants is that they are often very bitter and most people are unable to eat them raw as a result. Eggplant seeds are similar, being unpalatable to most tastes due to the bitterness of the plant. Cook the eggplant seeds. 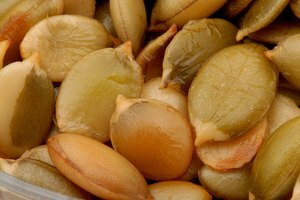 The eggplant seeds can be removed and cooked separately, like pumpkin seeds or sunflower seeds, or can be left with the eggplant and cooked with the entire vegetable. 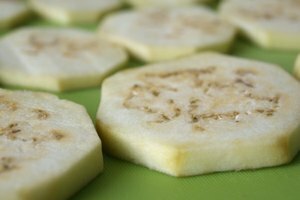 For a snack like pumpkin seeds, remove the eggplant seeds and bake them with some salt and other spices. Otherwise, cook them with the rest of the vegetable. Add spices. Eggplant seeds are best when spices are added. 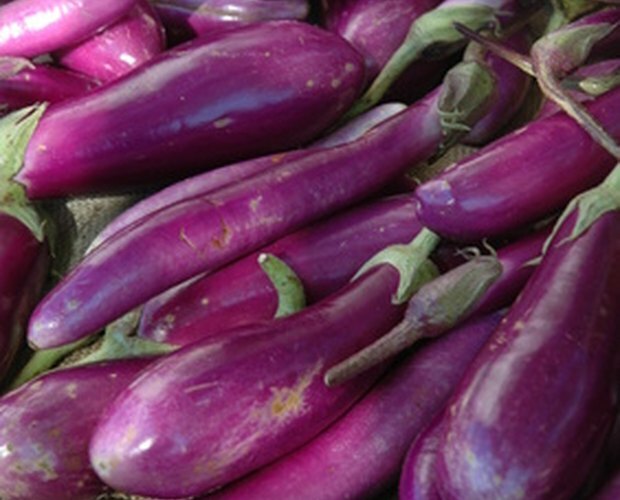 Eggplants are originally from areas like India, which are rich in healthy spices as well. These spices like turmeric, red pepper and cumin can add flavor to an otherwise bitter seed. Eat the seeds. They are best when cooked with the rest of the vegetable, since the seeds are bitterer than the vegetable flesh and the spices added will give it a unique flavor. 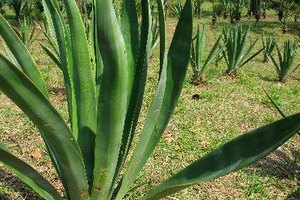 They can be eaten separately or with the flesh of the vegetable.